9:17pmET: Vegas says Steelers by -10.0 at Houston. The Computer says Steelers by -19.5. LAC and PIT standing out as the biggest opportunities so far...big away favorites. 6pts or greater road favorites are 6-3 covering in recent weeks at a quick glance. 6:30pm: I've gone through about 10 games for handicapping so far today and I'm shock/sadden by how many lines we're close on. No opportunity jumping out all over. However. the one that is popping -- Vegas says Chargers -6.5 at NYJ. The Computer says -15.0 Chargers. Very likely the BEST BET for us by a mile. The Chargers need to win for the playoffs. The weather won't be awful (40-50 degrees) and one extra day to prepare. Also, the Jets may not have Leonard Williams and Muhammad Wilkerson, plus there's the whole Bryce Petty situation. What does The Computer know anyway? It's only 71.6% on the Blazing Five going into MNF. 6:02pm: Dynasty Stash 8.0 will posted around midnight ET. The list has hit 50+ names with commentary and another 20+ 'honorable mentions'. We'll add a few more names this week and next week before the regular season/stash season ends. I have a goal to 100 combined names in the end. If you wonder, after reading 8.0, "I see your 70+ names, but I can't believe ____" isn't on it!" Feel free to email that name(s) for consideration. You see the type of players on here so think in terms of obvious stash guys, not just 'available' in your league but would be long gone in most. It's hard to put one list together with so many league dynamics among the audience, BUT I'll hear you out of there are names you expected, thought we missed, or should be on for a good reason -- like next report I'm adding Jerick McKinnon and Sammy Watkins. Probably not available in your league...but are free agents to be and I want to put them on there for valuation. -- Starting Tackle Donald Penn done for OAK for the rest of the season. Not good for Lynch or Carr. -- In DST news, those hoping for matchups against bad QBs...DeShone Kizer will start this week, supposedly. Drew Stanton relieves Blaine Gabbert, I wonder how the contract extension talks are going for Arizona and Gabbert? Paxton Lynch MAY start this week. We'll know WED-THU. -- Leonard Williams could miss this week and M Wilkerson could be deactivated...good news for Melvin Gordon. Another weird week...somehow a fair share of FFM teams are fumbling their way to the finals this week. You look at your team and bemoan the in-game injuries or the weak performance, but then your opponent had the same in the end and you've snuck out with a victory...or a likely victory. 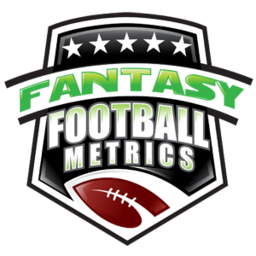 I've talked to tho types of fantasy GMs this morning, going into tonight's games: (1) Those a little behind and need a Falcons solid/plausible DST performance to get over, or (2) Ahead and just need Julio not to wake up from his week naps and drop a 300+ 2 TD type mayhem game. Good luck to those watching with baited breath tonight. Congrats to those moving on, and bummer to those who got popped yesterday. For those that lost yesterday...many of you would have sold a kidney several weeks ago to even be in the playoffs after a 2-4, 1-3, etc., type of start. Let's lament the loss but also enjoy a moment of silence for the persistence to stay the course with your battered-by-injury-early team and dragged their carcass to the playoffs. You'd like to win it all, but take a second to realize the savvy and patience displayed of continuing to counter-punch and get your way into the playoffs and to the final four. It's no small feat. Crazy week coming up...title week for most (some bleed over into Week 17). For the new subscribers...we don't shut down for holidays...or ever...all year. I'll outline the next two weeks agenda later today or tomorrow. -- I'm so happy for Nick Foles. You may have read about how he contemplated retirement -- that's Jeff Fisher's fault and the lazy football media's fault. They tried to take a guy's career away with the never-ending terrible football analysis. Foles is fine because he got a big contract but there are so many others NFL teams deny because they are enslaved to what the media thinks about a player...which is driven mostly by the NFL Network draft coverage guys from January-March. I hope Foles takes Philly to the Super Bowl and wins it...for his sake, and my own scouting sake. I was trumpet blasting Foles before he started...when he started...when he dropped 7 TDs vs. Oakland in 2013...when he was the Pro Bowl MVP...when he went to the Rams...when he was cut by the Rams...when he went to KC...when he went back to Philly. I should get a Super Bowl ring too if the Eagles win the Super Bowl. I never gave up when everyone in the media buried him. I gave up on the fact that the NFL would ever embrace him and I think the NFL is moving away from his kind of skill set, but on Foles' talent as a potential elite NFL QB ability...I was always a believer. I'm sorry, I never get tired of that. -- The Saints lost a few OLs in-game Sunday, something to monitor facing a tough Falcons team in a huge Week 16 games. Impact for Kamara-Ingram, Brees, the Falcons DST, and betting. Yes, The Computer is 3-1 on the Blazing Five going into tonight's game with BEST BET Atlanta. -- Rex Burkhead to miss the next 1-2 weeks, but should be back for the playoffs. Same for Antonio Brown. -- Watch out on the Bears DST v. CLE this week. I like it, as do many, because 'CLE' but I have a feeling Hue might bench Kizer this week or mid-game, and hurt some of the upside.